PONTUS Tidemand was the surprise winner of Thursday night’s opening special stage of Rally Sweden in Karlstad. 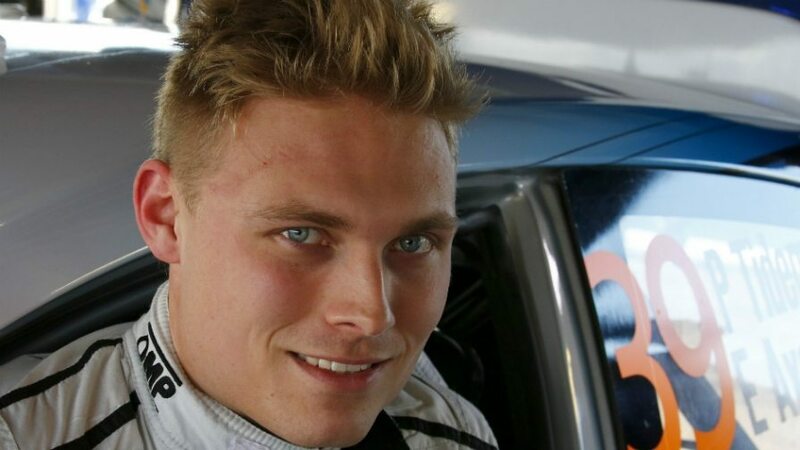 The 24-year-old Swede, driving a Ford Fiesta RRC, outpaced all the favoured World Rally Car drivers to win the short ice-covered test around the town’s Färjestadstravet horse trotting track. Tidemand enjoyed the best of the conditions in the night’s opening heat, as two cars at a time raced around the track, to top the standings by 0.3sec. “I enjoyed that, I always do,” the 2013 JWRC champion said. Conditions at the stage start deteriorated with every pairing as drivers struggled to gain traction when the lights turned green. Mads Østberg didn’t let that deter him as he defeated Sébastien Ogier in the night’s headline heat to claim second fastest time in Citroen’s DS 3, 0.3sec behind Tidemand. Jari-Matti Latvala beat Kris Meeke to claim third in a Volkswagen Polo R, a tenth of a second behind Østberg, and Thierry Neuville was fourth in a Hyundai i20. Andreas Mikkelsen overcame a brush with a snow bank to take fifth, 0.7sec from the lead. This second round of the FIA World Rally Championship continues on Fricay with nine more stages in Sweden and Norway, including a second pass around the Karlstad test, covering 124.54km in total.